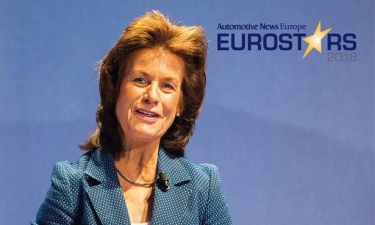 CAREER HIGHLIGHTSWinkler started her 23-year career at Daimler as head of public relations and communications for Mercedes-Benz in 1995. After holding key leadership jobs in the 2000s, Winkler was promoted to lead Daimler's Smart brand in 2010. She stepped down from the post at the end of last month. REASON FOR WINNINGSmart probably wouldn't still be around if it wasn't for the energy, dedication, vision and passion Winkler poured into the small car brand over the last eight years. When she took over the brand was floundering. Winkler changed that by making Smart a key player in megatrends such as car-sharing, with its heavy involvement in the Car2Go program, and she spearheaded the move to electrify the brand's powertrains with the 2012 debut of the battery-powered ForTwo. Under Winkler, Smart decided to become an electric-only brand. By 2020, Smart will sell only full-electric cars in Europe and North America, with other regions to follow later.